The 8 Metabolism Killers Keeping You Overweight - ShareIt! If you have been trying to lose weight and blast the stubborn belly fat without any success, it is very likely that you are killing your metabolism with some of these metabolism killers. From eating the wrong fats, eating too many or too little carbs , and doing the wrong exercises, your daily habits could be affecting your fat-burning process. While it is generally believed that those who eat a large breakfast have smaller waistlines, in many people it causes different effect and makes them even hungrier. If this sounds familiar, it is very likely that your “healthy breakfast” like bagel, fruit, or cereal, is high in carbs. Given that the insulin levels are high in the morning, eating a high-carb meal increases them even more, leaving you hungry by noon. The body goes through a process of protein turnover during the day, meaning that it breaks down its muscle tissues. Many people fail to get enough protein from their diet, which makes them unable to maintain lean mass. Protein is needed for muscle building and tissue repair, so low protein intake causes the muscle to deteriorate. In addition to this, improper protein intake leads to poor skin health muscle loss, fatigue, cravings, weakness, and brain fog. Skipping meals is one of the most common metabolism killers these days. When on a calorie-restrictive diet, the body enters into a survival mode in which it saves energy by reducing pulse, slowing thyroid function, and lowering body temperature. Common signs of this problem include stress, low energy, stubborn belly fat, cold hands and feet below 98.6, and food cravings. Since we are led to believe that the key to losing weight lies in calorie deficit, many people choose to start dieting. However, this may lead to decrease in muscle mass, increase in stress hormones, decrease in energy levels, and slowed thyroid function. These days more and more people are over-stressed and have their stress hormones far more elevated than normal. High-stress exercise like dance/step classes, crossfit, steady state cardio, and HIIT workouts can negatively affect your metabolism. This happens because the ‘stress hormone’ is over-secreted when the body is exposed to constant stressors. Some of the most common stressors include over-exercising, under-exercising, mental stress, overeating, and undereating. It is not carbs that make you fat, but the type of carbs and their timing that lead to weight gain. While ‘low carb’ diet works well for those with insulin resistance, the typical ‘low carb’ meal options cause more harm than good. They typically include ice creams, bars, shakes, and snacks containing unhealthy and highly processed ingredients. Being chronically depleted of carbs is bad as the liver is exposed to additional stress and is being forced to work harder in the processing of glucose from fats and proteins. Currently, heart disease is the leading cause of death in the USA. The prevalence of metabolic syndrome, diabetes, and Alzheimer` s are constantly on the rise, too. The culprit: High inflammatory diet! 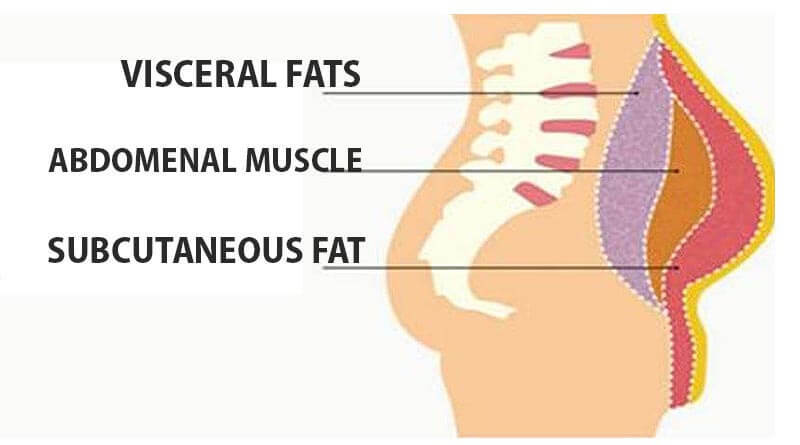 Some fats are natural weight loss options, but the western diet is based on the other kind of fats, the same that are known to wreak havoc to the body. Aim at eating more healthy fats that stimulate weight loss and boost energy levels, such as avocado, coconut oil, and olive oil. Unfortunately, up to 95 percent of these things turn up to be killing your metabolism, leaving you in worse shape than the one you started with. If this is the case, it is very likely that you are suffering from inflammation, which is closely related to weight gain. The best way to reduce inflammation is to eat whole foods and avoid heavily processed ones. ← Use This Doctor’s Proven Technique and Relieve Your Foot and Heel Pain!